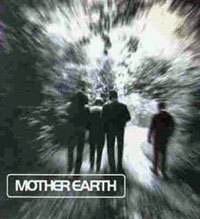 I’m sure I’m not alone in being a fan of Mother Earth – if you were too, you might want to make an effort to get down to London on Monday 14th August, when the band will reform for one gig only – then go their separate ways again. The gig is at London’s Jazz Cafe and features the line-up of Matt Deighton, Neil Corcoran, Bryn Barklem and Chris White, wh’ll be playing a load of oldies and possibly a few new tunes, courtesy of Matt D. It’s a one-off because Neil the bassist now lives in Australia – but he’s back in the UK just long enough to play a gig. For full details, door times and cost of tickets, check out the Mean Fiddler website. the contrariness of pop~dom, huh…?